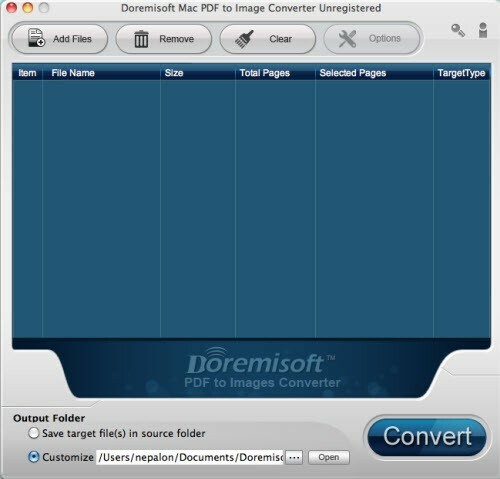 Mac PDF to image Converter is specially designed for Mac users to convert their PDF files to several image formats such as JPEG, JPG, TIFF, PNG and more. With the brilliant PDF to image software, you can easily enjoy viewing ebooks in picture viewers without PDF reader.Morever, the PDF to image converting tool is very easy-to-use. Two or three simple steps can do all the job: add pdf document(s)-choose the pdf page range to convert -finally convert it. It can well preserve all the PDF content, including text, line, ellipse, Bezier, color, image, form and so on. 3. Batch conversion and partial conversion - Convert PDF documents to image files,and specify the page range to be converted.